Wow, this project is dragging on slowly. It’s the heat. At 41 deg Celsius, I don’t feel like working with anything made in yarn. Beads of sweat pop out of my forehead when I see yarn. Then I need to drink 7-Up with 2 scoops of strawberry ice cream in it to cool down. Now onto the boring instructions. Continue on if you dare, or if you want me to drone you to sleep. Using the crocheted bag as a template, cut out 4 pieces (with allowances) from the lining fabric , and 2 pieces of iron-on interfacing , as is. Iron on the interfacing. Pin together, with the right sides facing ; sew the sides and bottom together. Snip off the bottom corners. 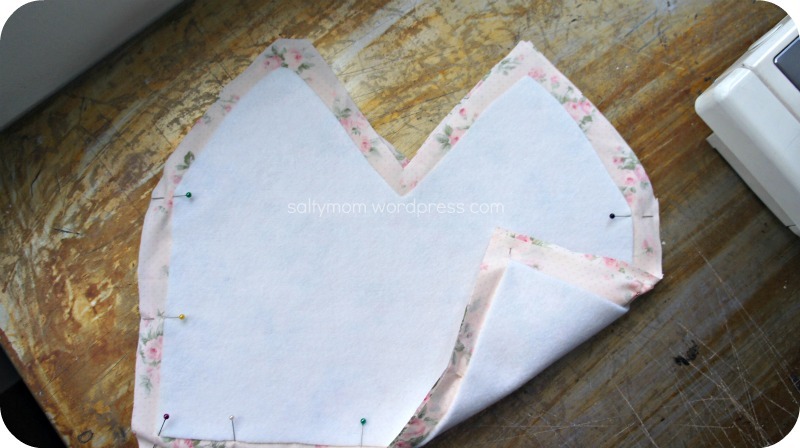 With the leftover 2 pieces, sew the sides and part of the bottom together. You need to leave a hole to turn out the bag. Also, snip off the bottom corners. 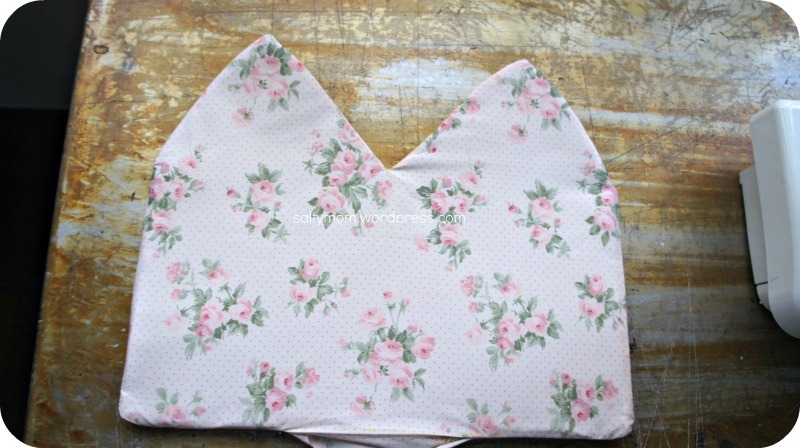 Flip the piece with the interfacing over so the good side is showing. Slot it into the other piece. Pin and sew the opening of the bag. Next, snip notches all around the opening. Pay special attention to the middle section where it dips down. Snip as close as possible so that when the bag is turned right side out, it wouldn’t bunch up in the middle. Remember to snip off the pointy corners as well. Here’s the bag with the right side flipped out. I usually sew up the opening as the last step, just in case. 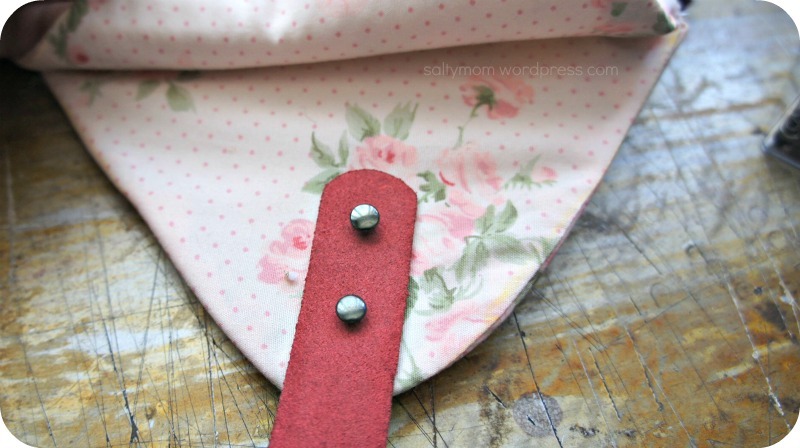 I’m using pleather handles, this pair comes with two pre-punched holes. I plan to attach the handles to the lining part of the bag.